Softer lettuces like romaine use right away. Cook them the way you want to, cool them off and freeze them in baggies. Veggies: my rule with most vegetables from farmers markets and CSAs or shares are to either use what you can right away while it is fresh, roast what you can and will ultimately use to extend it 5 or 6 days, or prepare it for freezing or canning to preserve it. 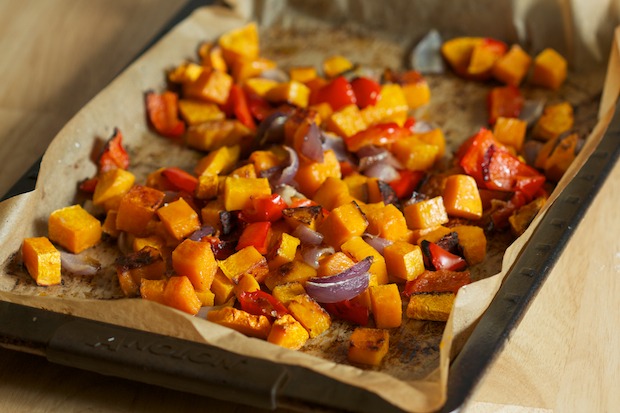 There are good benefits to roasting, mostly time by extending the time of your veggies. Especially if you didn’t cook them right away and they have been in your fridge for a few days! Roasting vegetables saves you from wasting your money. Soup does too. What to do with your left over veggies that you have steamed, sauteed or roasted; Make Pizza, Soup, Sandwiches, Wraps, Frittatas, Stir-Fried Rice, Add them to PASTA! The Frittata Ratio to Memorize: For every six eggs, use 1/4 cup heavy cream, 1 cup cheese, and 2 cups total of vegetables and/or meat!